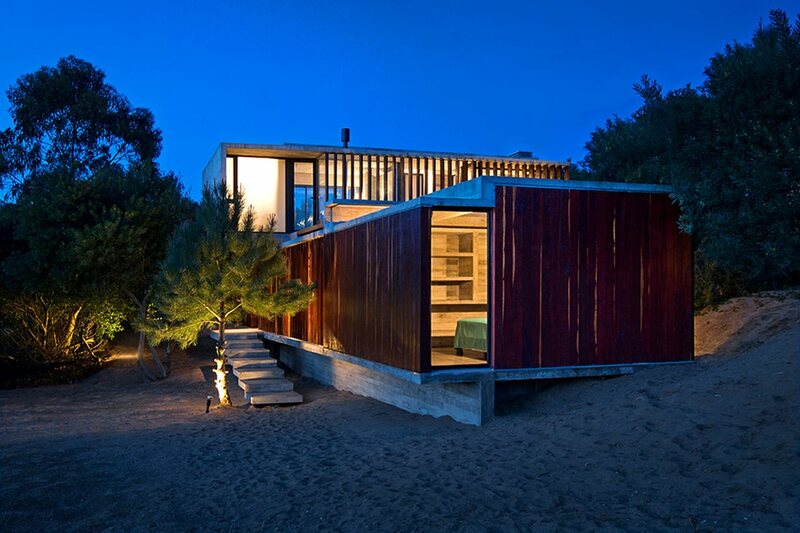 Architecture bureau LK Estudio and Luciano Kruk presented the project MR House. 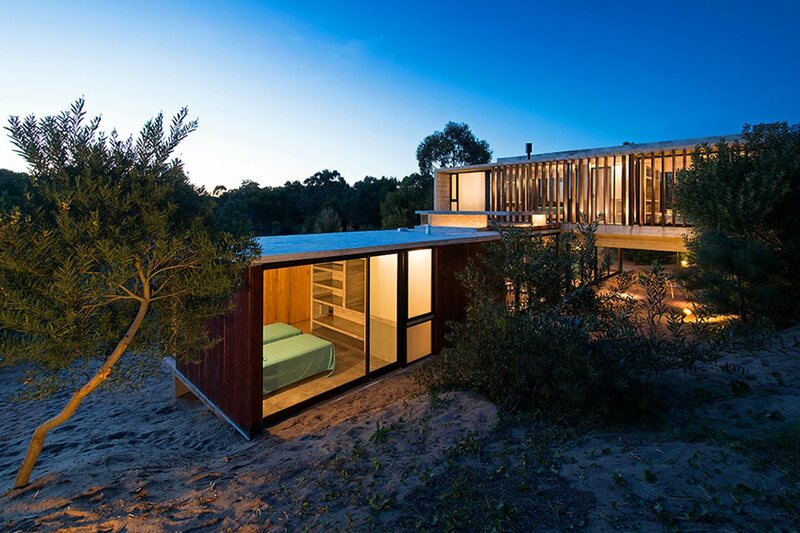 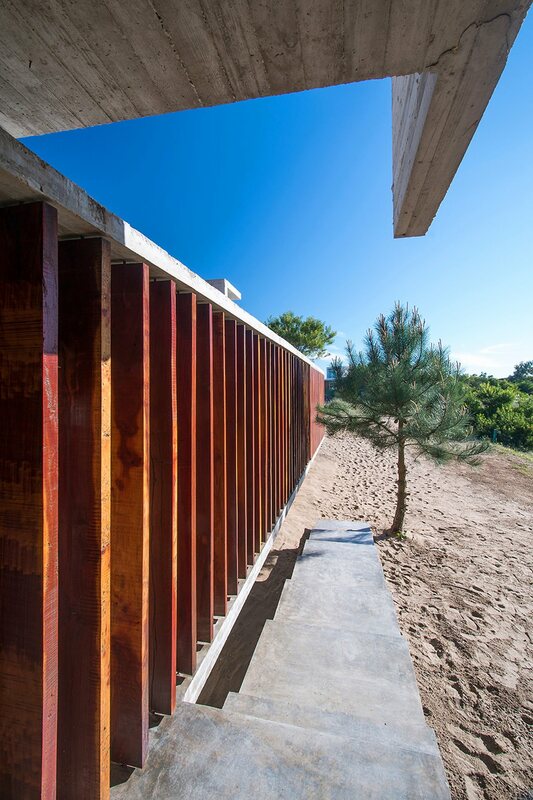 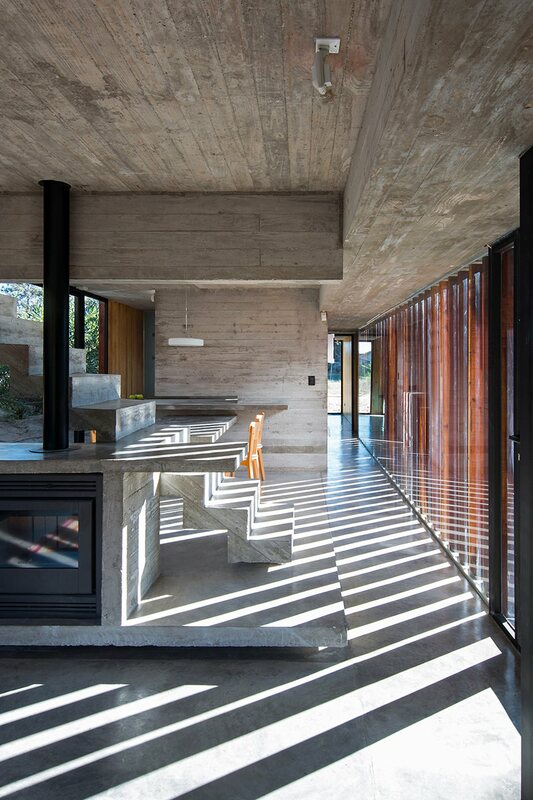 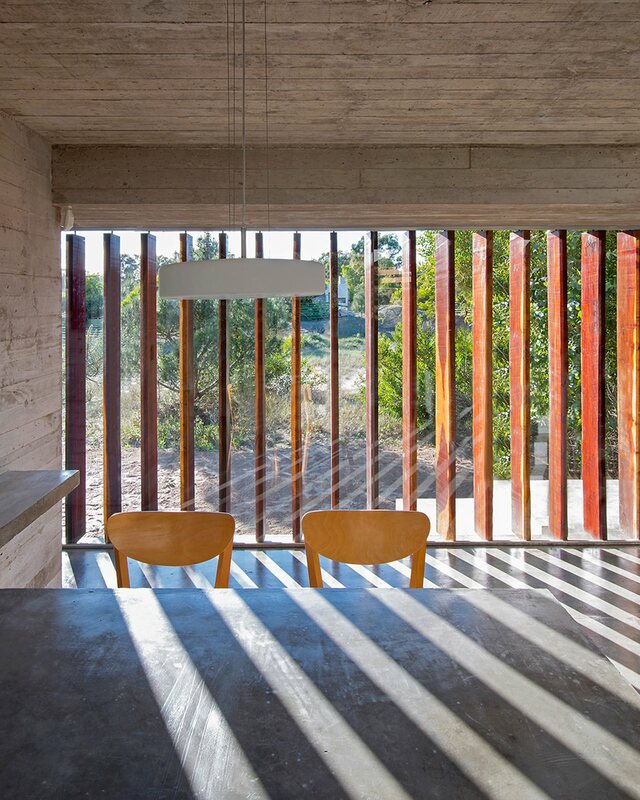 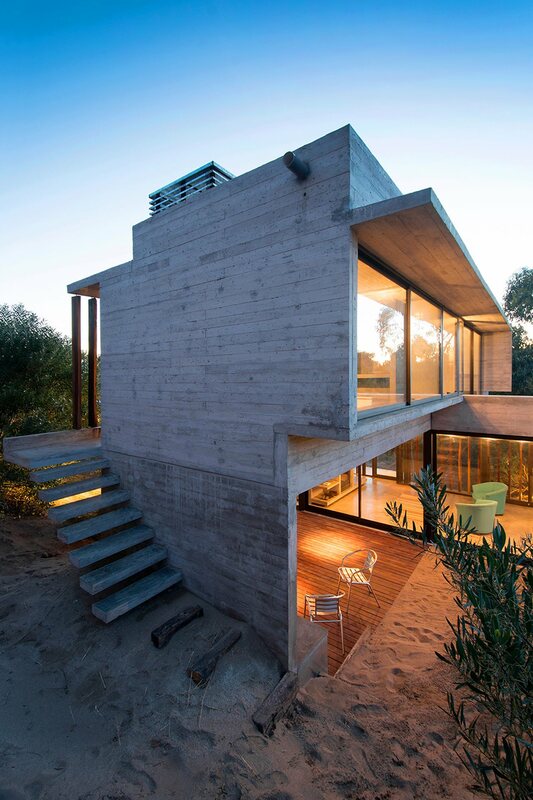 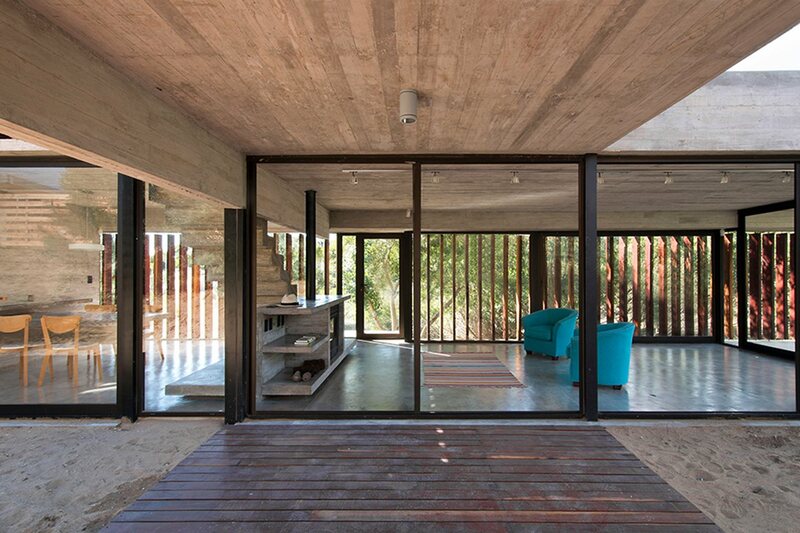 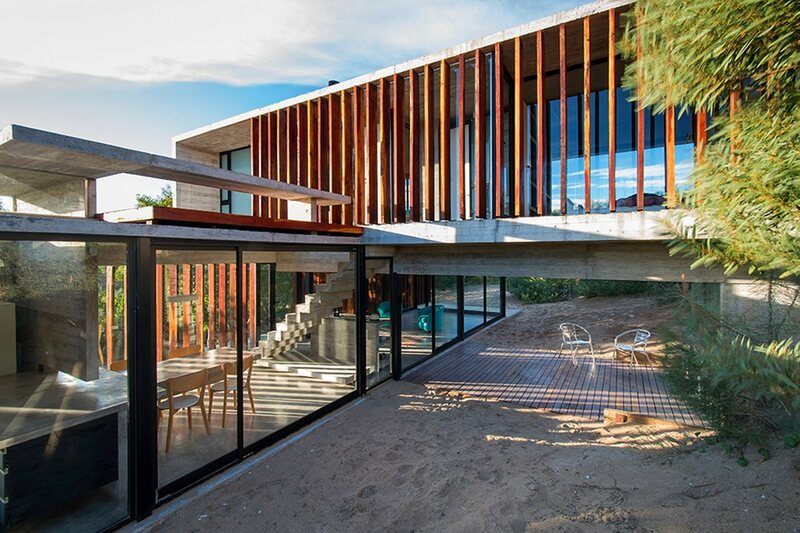 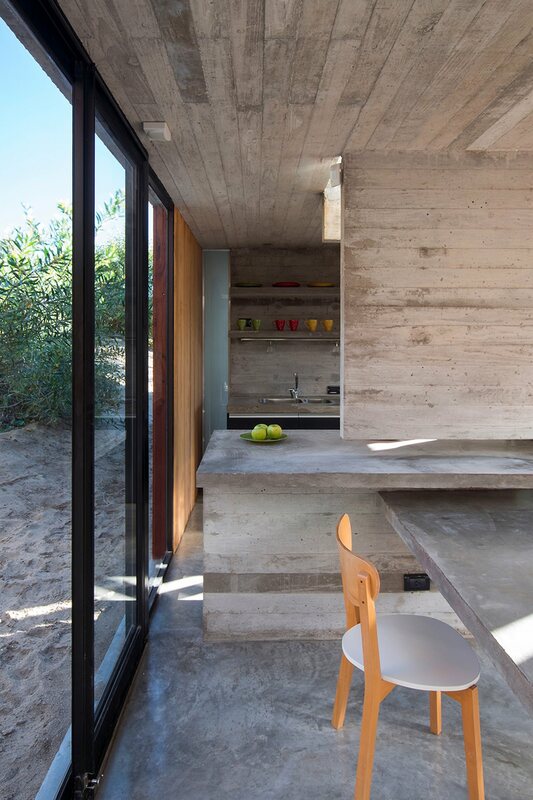 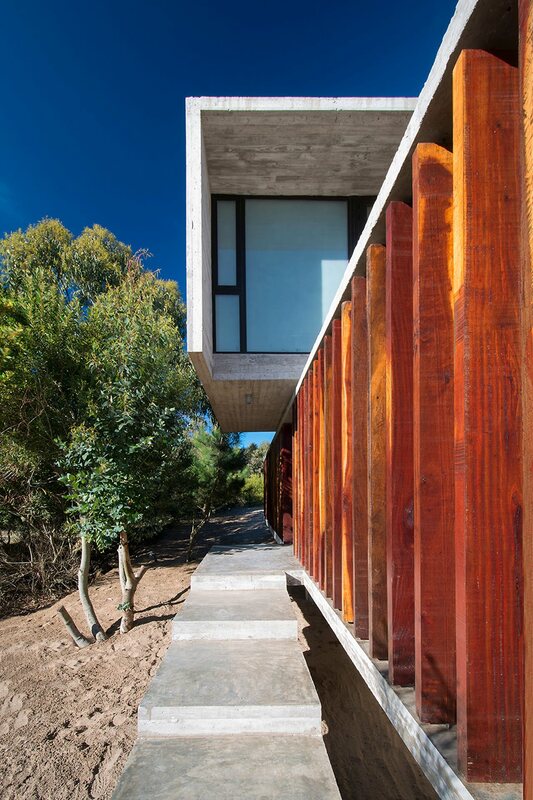 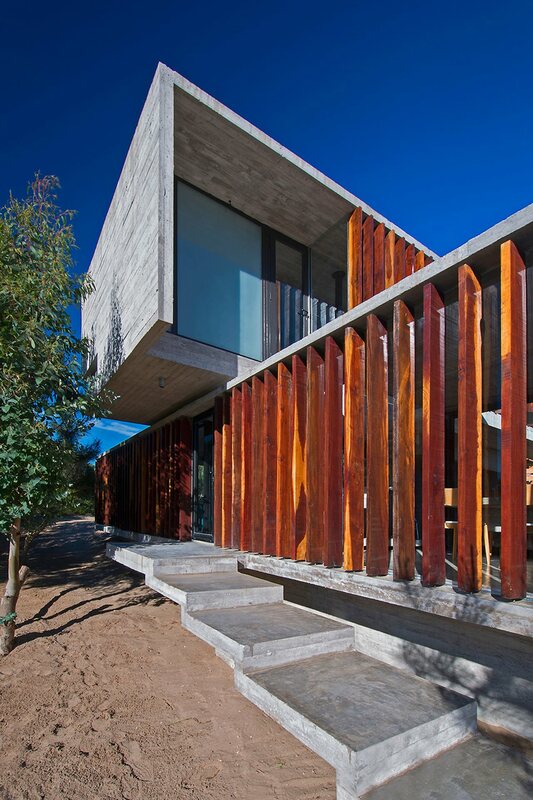 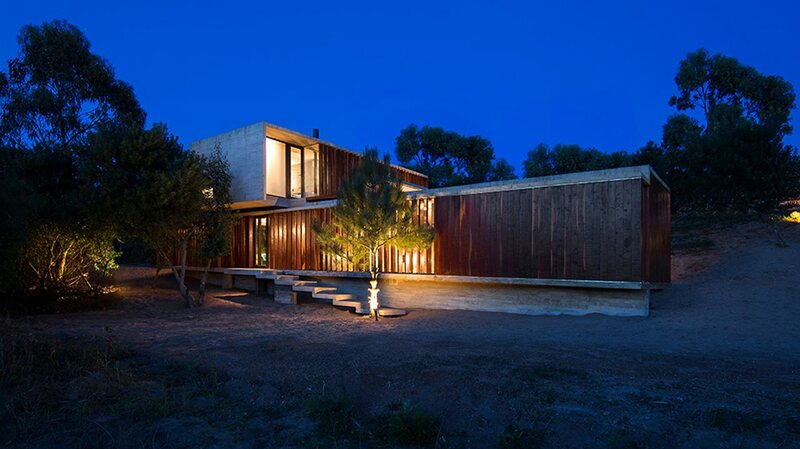 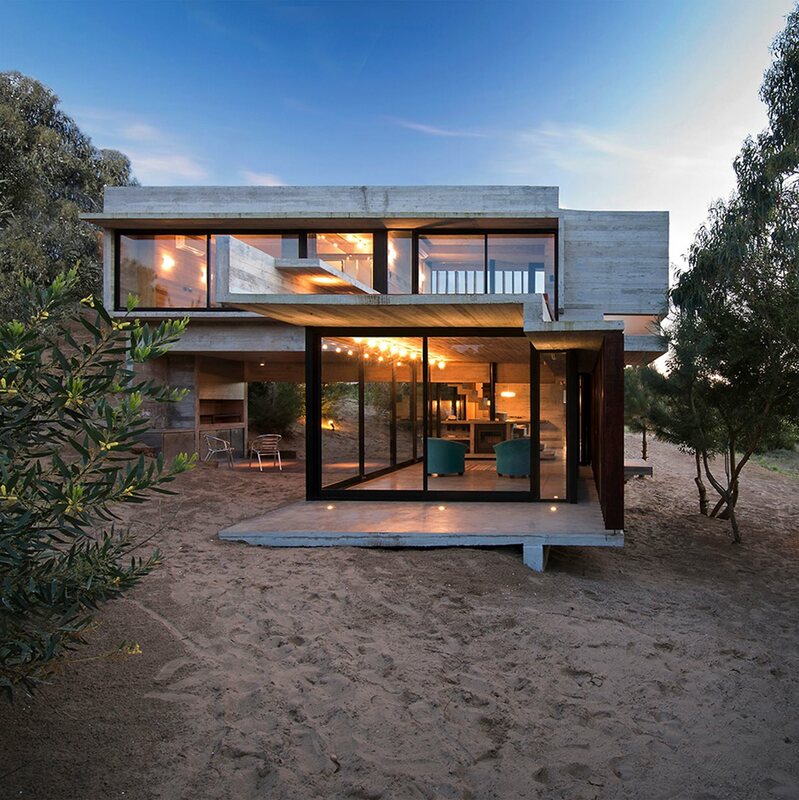 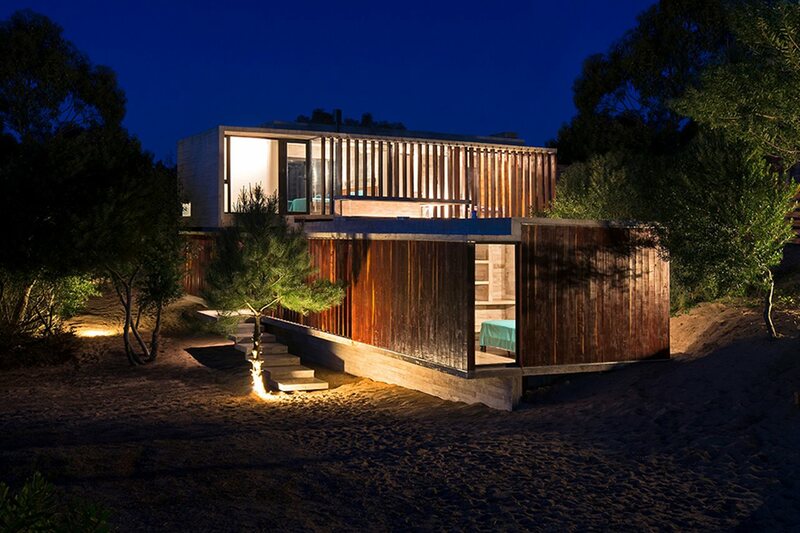 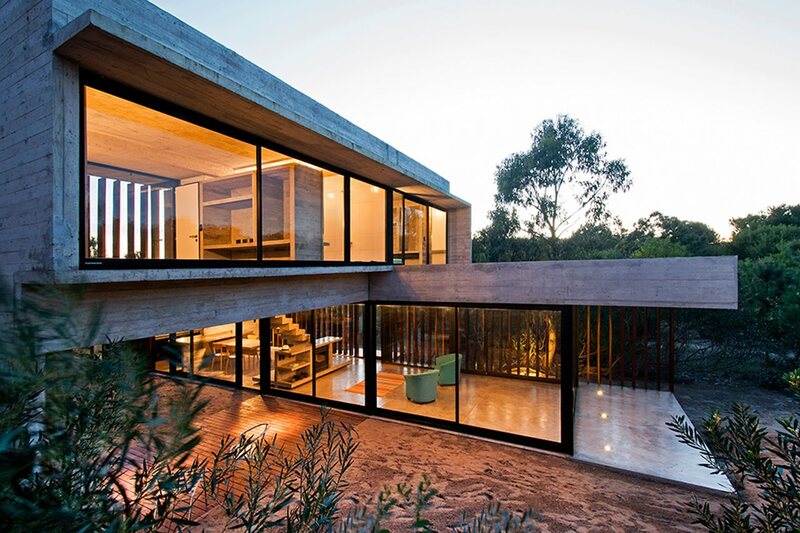 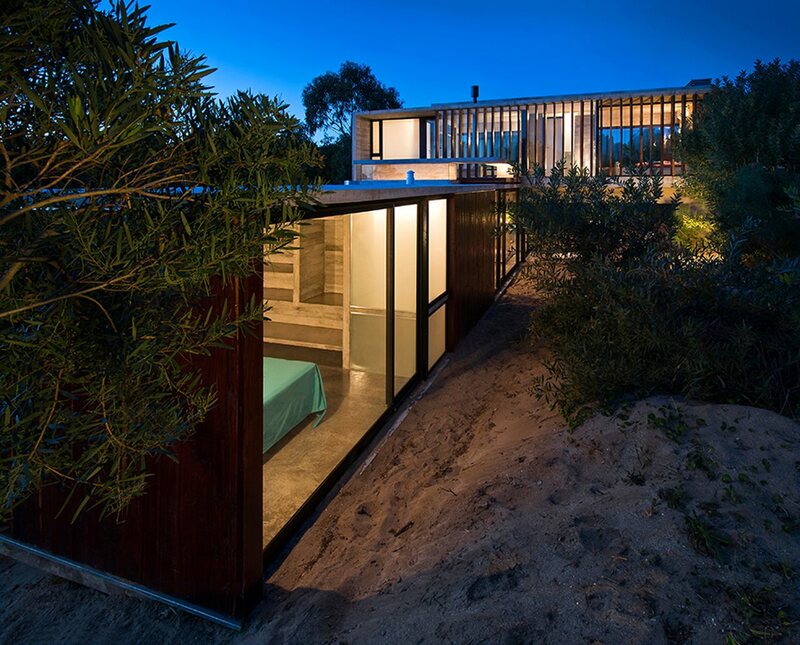 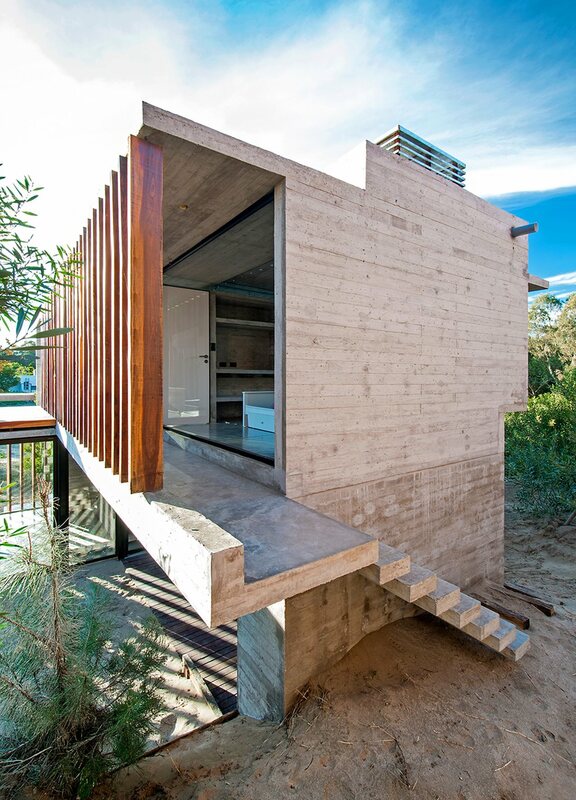 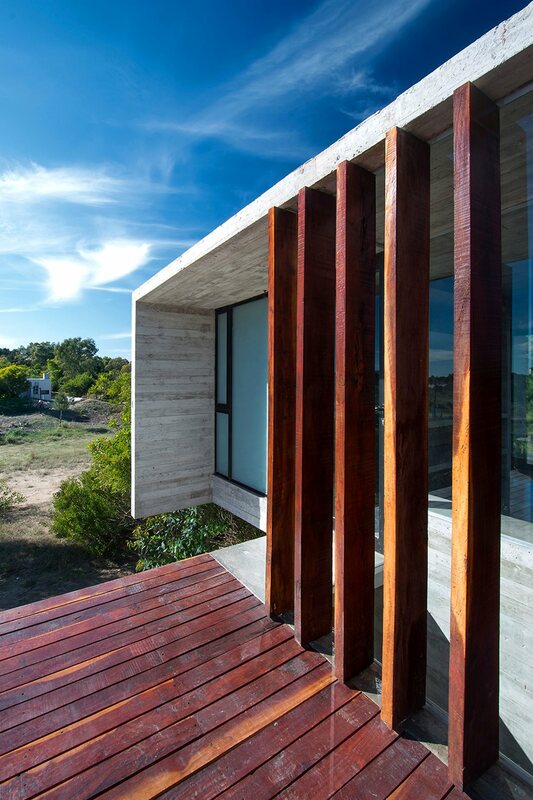 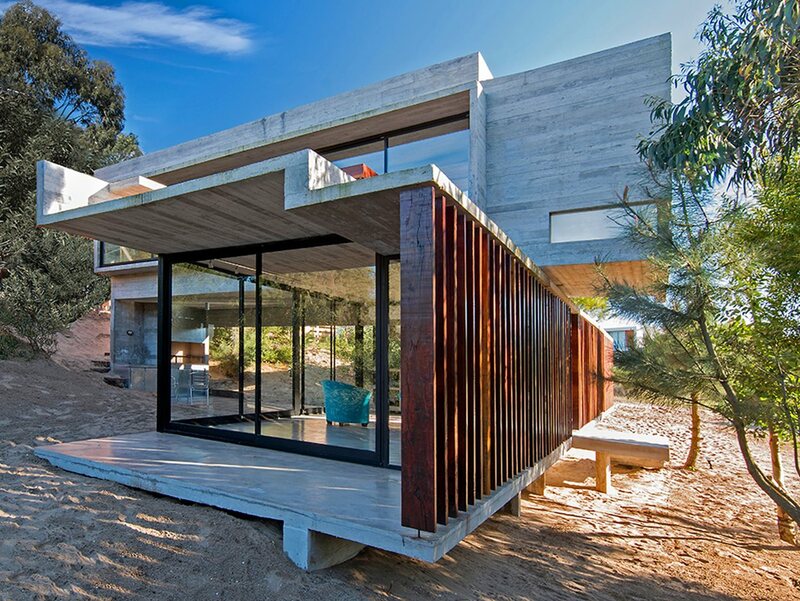 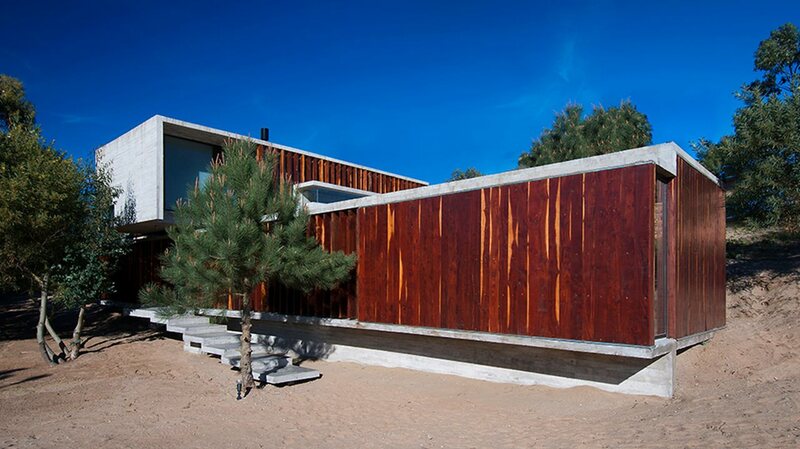 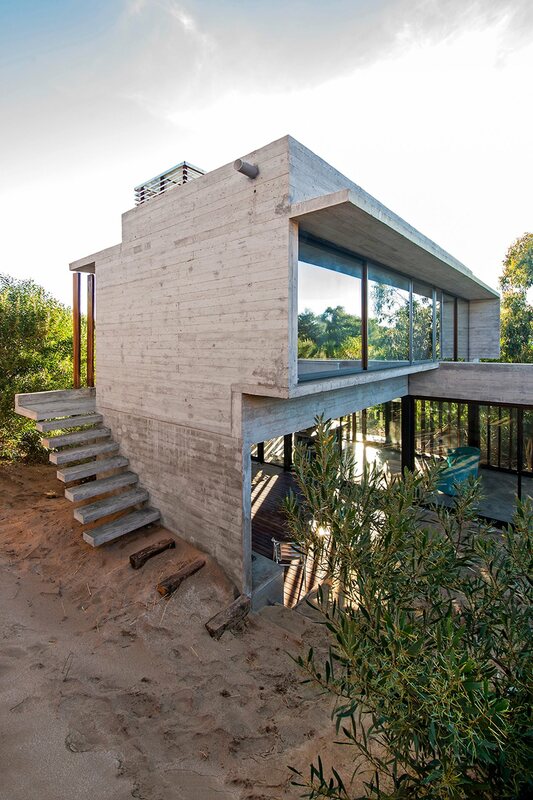 Against the background of sand dunes on the picturesque strand of the Atlantic Ocean, near Buenos Aires, a residence for living and rest was built. 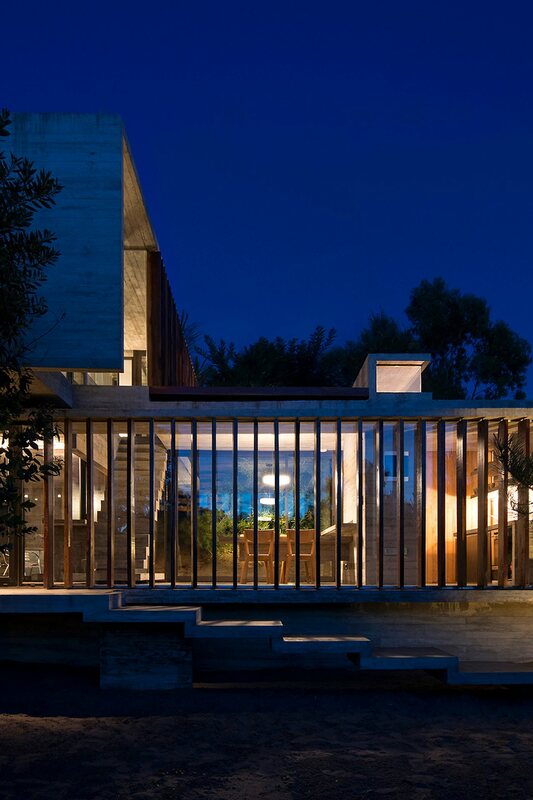 When working on this house, architects not only preserved all the elements of the beautiful scenery on principle but also were able to take account of numerous wishes, expressed by the client. 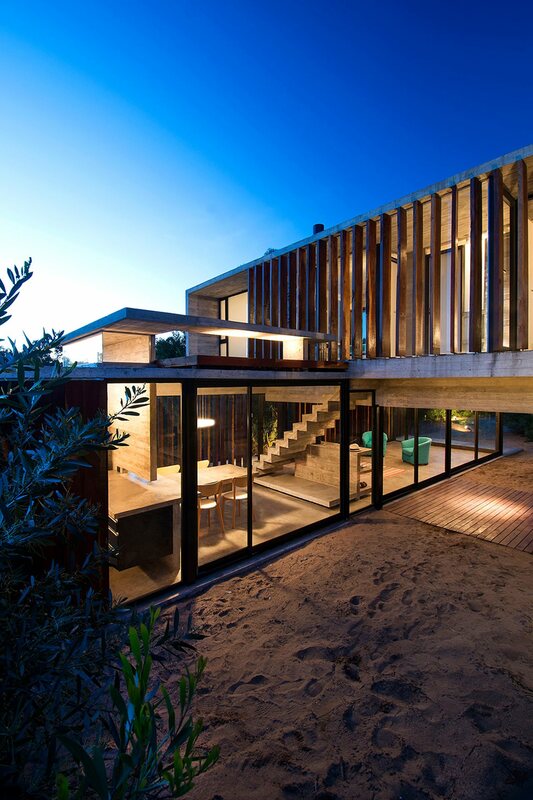 A long plot on a steep slope with rich vegetation determined the oblong form of the building. 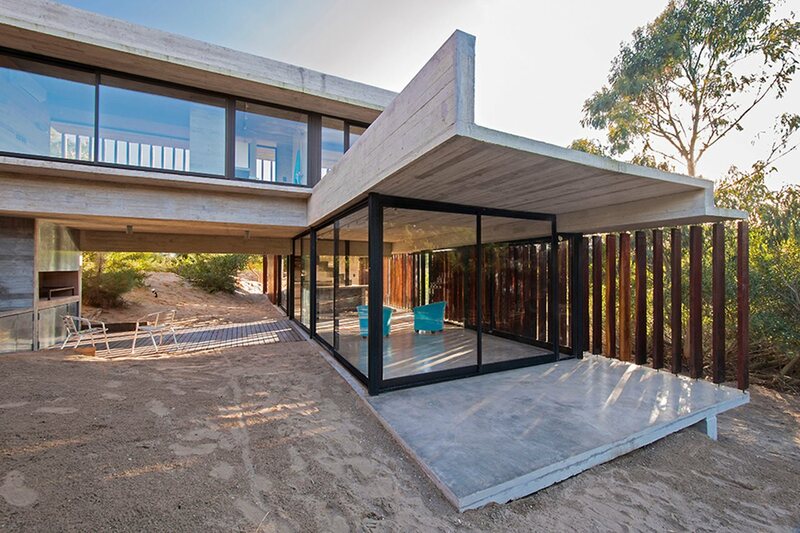 The building is formed of two oblong concrete boxes, positioned perpendicularly to each other and laid with some shift. 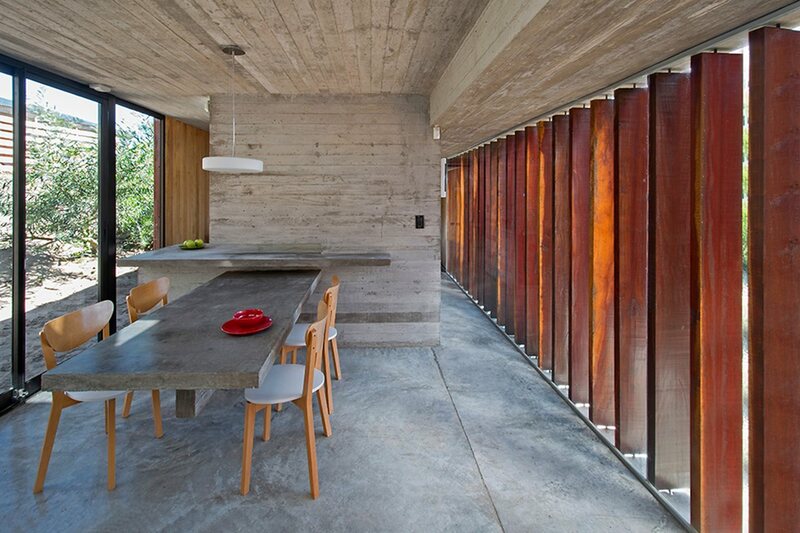 The upper block is additionally supported by massive piers. 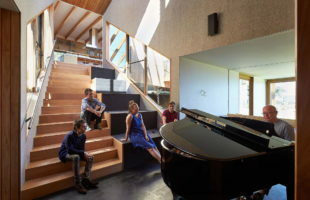 According to the project a living room, a dining room, kitchen and a guest room are in the ground floor, the second floor is meant for two more bedrooms. 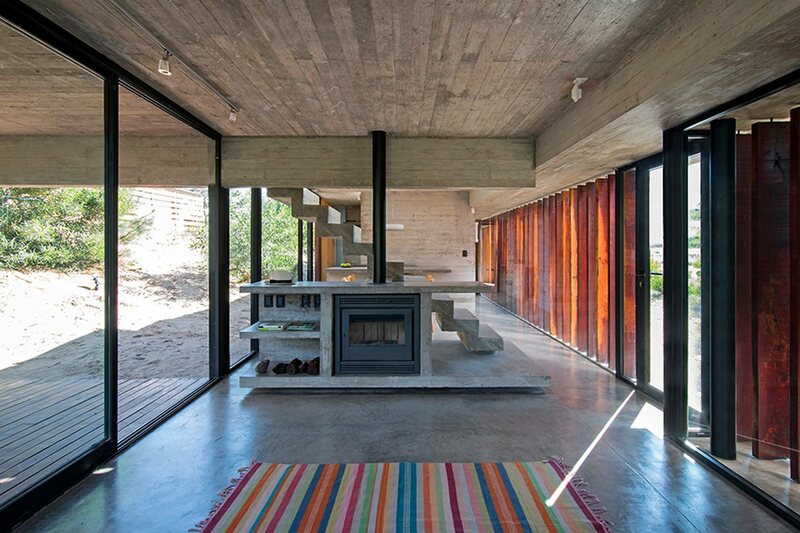 Steps, leading to the first floor, is at the intersection of two massive boxes of the structure of the house. 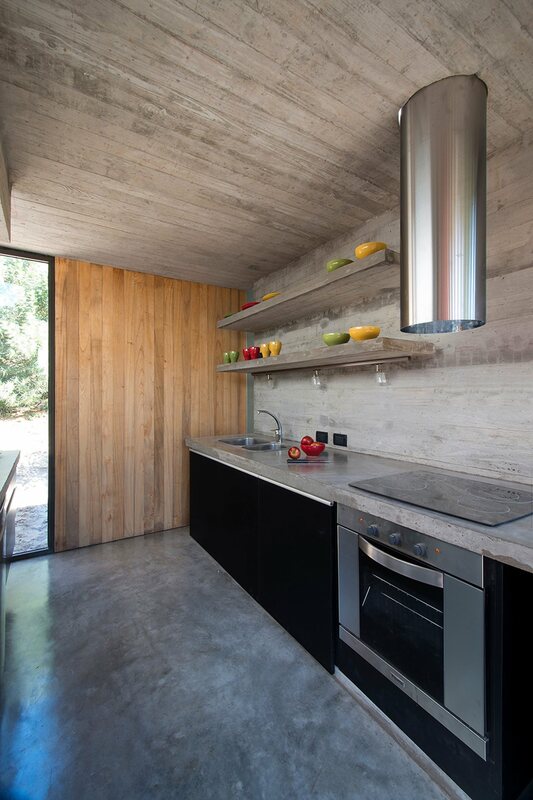 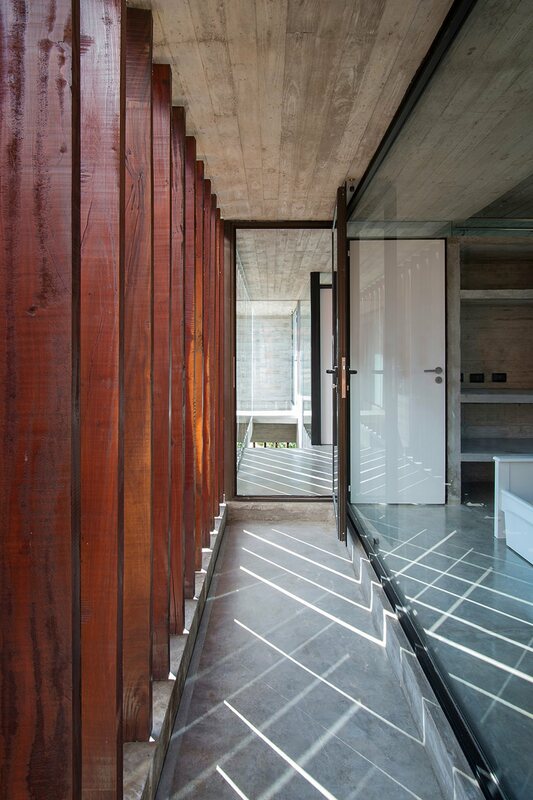 Concrete, wood, aluminum and dark glass were chosen as main architectural building material.